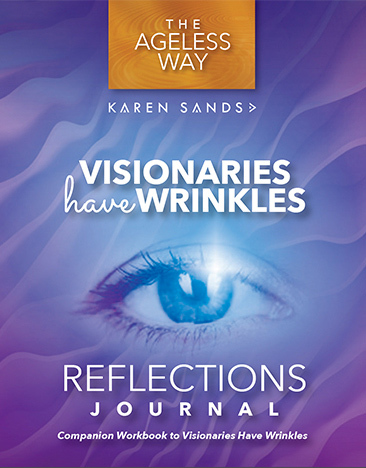 Meet Karen Sands: Visionary Master Coach & Mentor, Consultant-Strategist, Motivational Speaker, Educator, Expert Trainer, Published Author, and All-Around Trailblazer. Her mission? To inspire those 40+ to own their age, find their voice and move confidently towards their highest vision—one which supports a new story for our times. A story with unlimited potential. 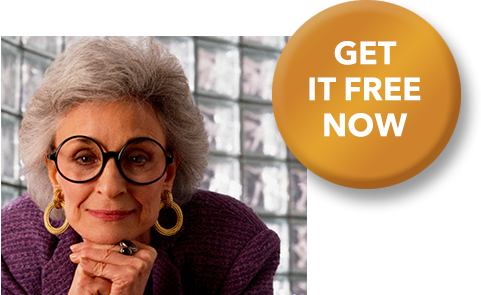 Download a free excerpt, featuring an interview with Frances Lear, feminist activist, creator of Lear’s magazine, and the inspiration for TV’s gutsy, outspoken Maude. These women don’t just tell it like it is. They tell it like it can be. 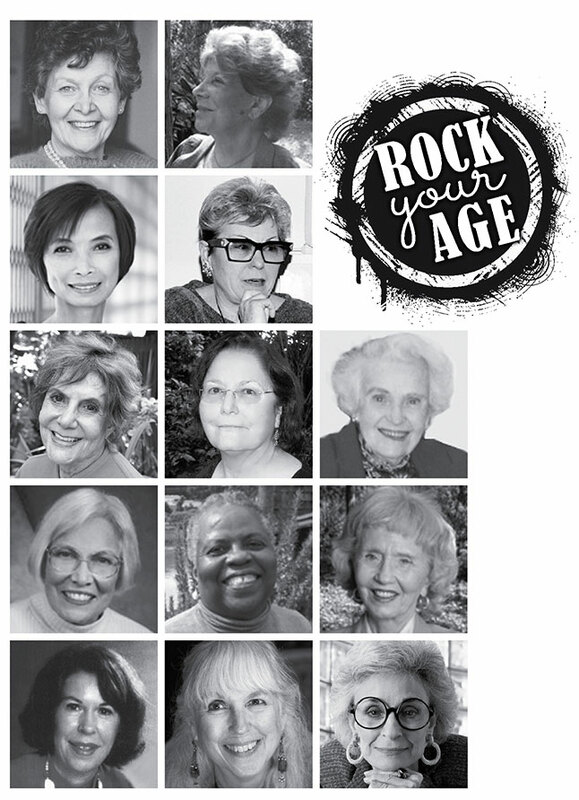 For all of us.Women like Elly Guggenheimer, Carole Hyatt, Marion Woodman, Belvie Rooks, Virginia Driving Hawk Sneve, and many more bring their unique gifts and wisdom to the issue of aging and what that process demands of us. Perhaps because they are keenly aware that their time is limited, they have wasted no time pretending to be less than who they are-extraordinary women living their visions with more passion, wisdom, and focus than ever before, not despite their age but because of it. This is true for us as well: There is so much more for us to live in the time left to us. We don’t have to age the way we’re “supposed” to-quietly, gracefully, invisibly. Since when has our generation ever done what it’s supposed to do? The same women who worked to shatter the glass ceiling are now soaring beyond the silver ceiling, and in doing so, they are leaving a visionary legacy for generations to come. We are not done creating, leading, and making a difference in the world. 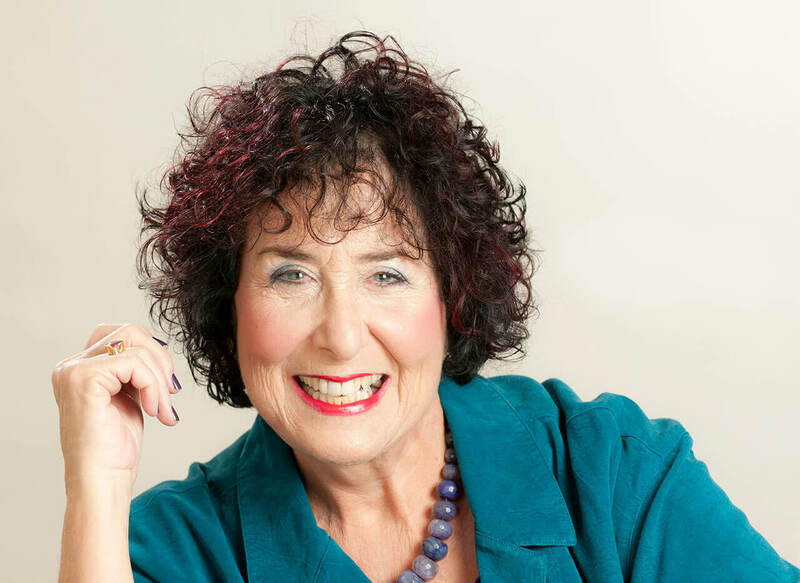 Redefining aging and how we see ourselves physically, emotionally, spiritually, sexually. Consciously and creatively aging by adapting to our changing bodies and energy levels, nurturing our passions, and making deliberate choices to focus on what really matters. Connecting to and living our inner wisdom in ways that give us courage and direction in leading the world around us toward social justice and a sustainable future. Recognizing our ability to balance between time and timelessness, embracing our ageless self and our aging bodies in ways that remind us of who we are not who we were. Restoring the ancient definitions of the archetypal Crone as a wise woman, a prophet, powerful in her ability to create transformation from chaos, to value her intuition and experience, and to see possibilities no one else can see because of her far-seeing vantage point. Opening the door for all humans to recognize the creative, transformative, visionary power we gain with each passing year and how much more we can do for ourselves, our communities, and the world, owning that power and using it more as we age, not less. 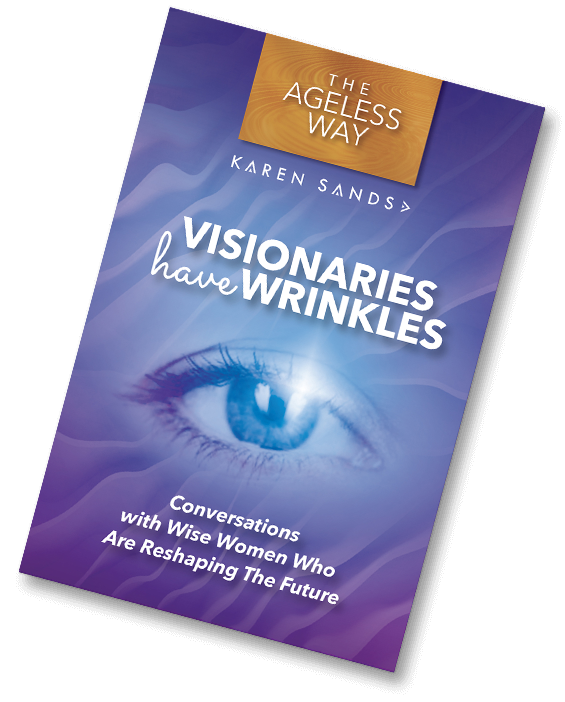 Karen Sands is the leading GeroFuturistSM and Thought Leader on the Longevity Economy, Positive Aging, Ageless Aging, Visionary Leaders, entrepreneurship, encore seekers, women and the future. 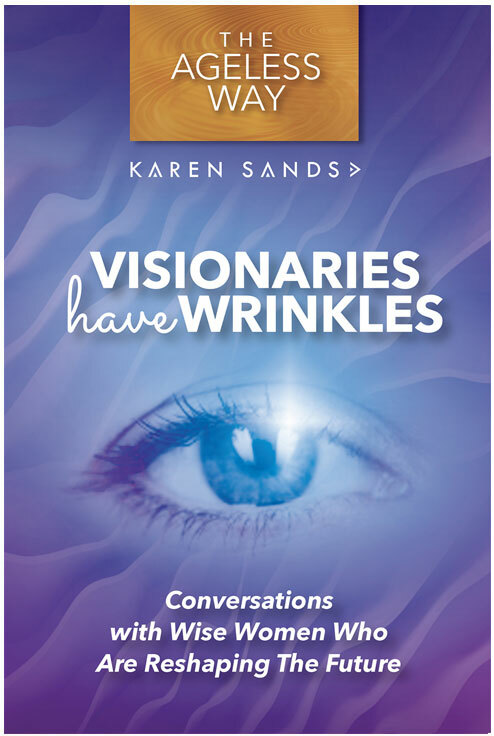 Karen has spent decades transforming the conversation and illuminating the deeper story around aging, and our future, culminating in paving a more vibrant age-friendly way forward in the twenty-first century. 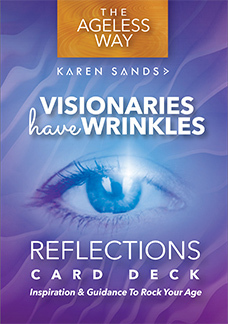 Karen is the Author of 11 books including Visionaries Have Wrinkles, Gray is the New Green and The Ageless Way.